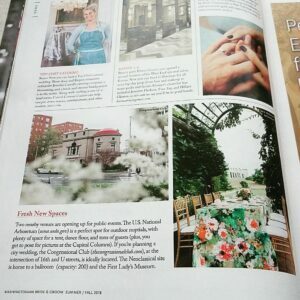 MTG was featured in the Fresh New Space section of this summer’s Washington Bride and Groom. The Congressional Club was highlighted for its location, stunning ballroom and First Ladies Museum. 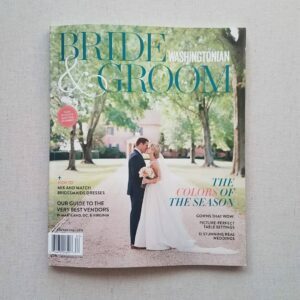 The Arboretum of course was called out as the perfect DC outdoor nuptial location! Check out our amazing June Wedding Packages at the Arboretum! Are you looking for the most unique DC wedding? The Capitol Columns is the most-stunning backdrop for a spring wedding!